Georg Druschetzky: (b Jemníky, nr Pchery, West Bohemia, 7 April 1745; d Buda, 21 June 1819). Bohemian composer. He studied the oboe with Besozzi in Dresden, then became a grenadier in the 50th Infantry regiment, apparently joining it at Eger in 1762; the regiment was later at Vienna (from 1763), Enns (1764), Linz (c1771) and Braunau (1775). From 1768 to 1775 Druschetzky was a regimental musician and towards the end of his service a Kapellmeister. His first known composition is a Symphony in G dated 1770 in Linz, where he also published a Concertino in G for harpsichord by F.X. Dušek. On 15 April 1777 he became a bestallter Landschaftspauker (‘certified regional drummer’) in the public service of Upper Austria, conducting the musical performances on official occasions in Linz. In about 1783 he may have moved to Vienna, where he was a member of the Tonkünstler-Societät. In 1786 or 1787 he entered the service of Count Anton Grassalkovics at Pressburg (Bratislava), where he directed and provided music for the wind band. Following the count’s death in 1794 he was employed by Cardinal Battyány in Pest at his country estate at Rechnitz. By 1802 he was music director and composer for the wind octet of Archduke Joseph Anton Johann in Budapest. 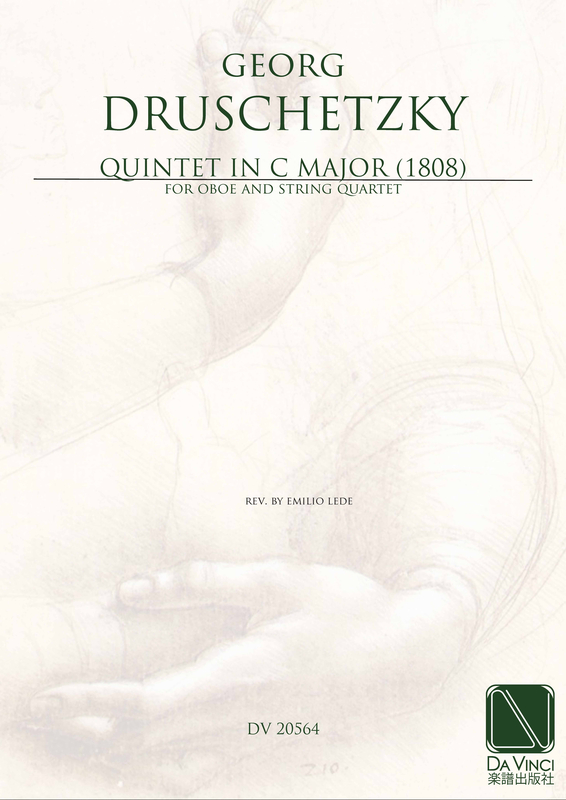 Much of Druschetzky’s output consists of Harmoniemusik. His musical language is slightly anachronistic, employing an early Classical style. His music displays a competent, if undistinguished, response to melody and harmony and his forms are short and devoid of melodic extension. His textures, however, often feature unusual sonorities and daring concertante passages, especially for wind instruments. The second movement of the fourth of his last six oboe quartets (in H-Bn) contains an early use of the B–A–C–H motif.